​What To Do With That Spare Room? Let’s be honest: space is very precious, and if you get hold of some extra legroom, you grab onto it and don’t let go! Make sure your plans for that extra room are all laid out, because what about that jackpot-day when you suddenly have an entire room that you’re not sure what to do with? It does happen – whether you have a rarely used dining room that you’ve decided to turn into something else, or the kids have left the nest and you now have to come up with new ways to make use of their bedrooms. Here is your chance to start making some stylish plans for that brand new space! So many options to consider – can it be the space where you can live out your hobby? Perhaps create a little retreat of your own? This is usually the first option that comes to mind whenever we suddenly have a brand new room in our house – especially when there’s no existing guest bedroom. A guest bedroom certainly comes with a bunch of advantages. Think about it: you can finally offer up your house as sleeping space for your out-of-town visitors, whether they be family or friends. But with the advantages come the responsibilities. Your guest bedroom must certainly contain more than a bed. It needs to make your guests feel welcome and comfortable. Think about all the luxuries that your own bedroom contains – or that you wish your friend’s guest bedroom had the last time you slept over. Shhh! We’re sharing: The secrets to a cosy bedroom. There is nothing like working in your own study at home – it certainly beats after-hours at the office after everyone has gone home. But even if you don’t ever work from home, chances are that you spend at least some time at a desk planning household projects, paying bills, or enjoying your own little endeavours (how’s that best-selling novel coming along?). Perhaps that brand new room that just opened up is the perfect opportunity for your home office. Would you like to close the door while concentrating in peace? Do you wish for a room that contains a grand filing cabinet to store all those important documents you have no room for? Do you relish your own space where you can start a brand new design project from scratch? (think desk and bookshelves, wall art and table lamps, perhaps a new rug… ). How about treating your kids to a zone all of their own? Kids need to have a space where they know they can play and do whatever they want. So, instead of begging and pleading with your little ones for the umpteenth time to pick up their toys, rather have the ‘play room’ as the one spot in the house that won’t drive you nuts should you see a toy out of place. Adequate space for playing, a fun colourful palette, sufficient lighting, overall safety – it doesn’t take too much to conjure up a decent playpen for the kiddies. And that fun zone can easily be reclaimed for another use once your little ones have outgrown Barney and Barbie. 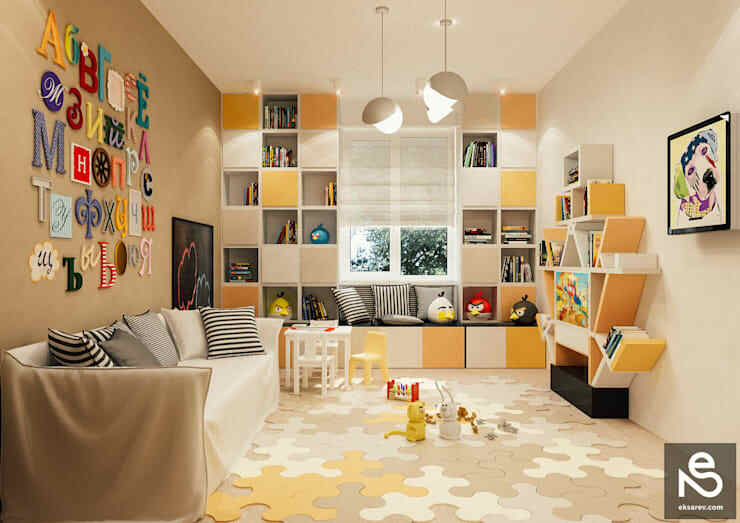 homify hint: Storage space in the play room is important, as your kids need to be able to organise their toys after playing. Finally! 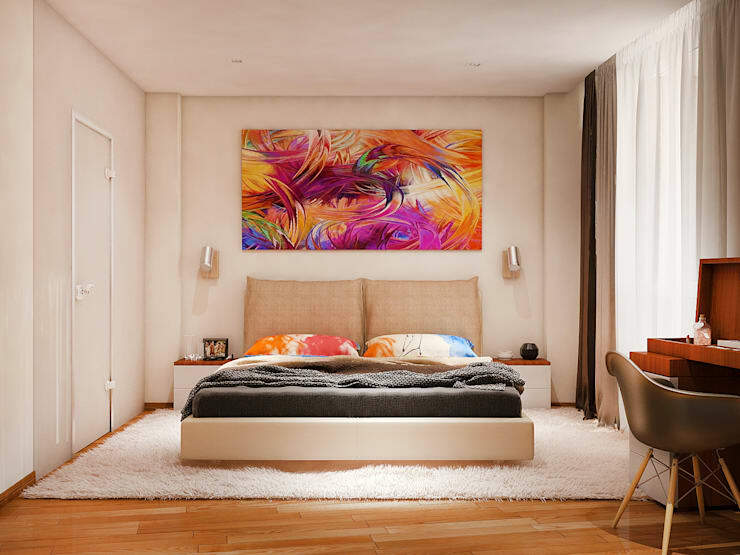 A space where you can take full advantage of your love for painting. Or your secret urge for cabaret dancing. 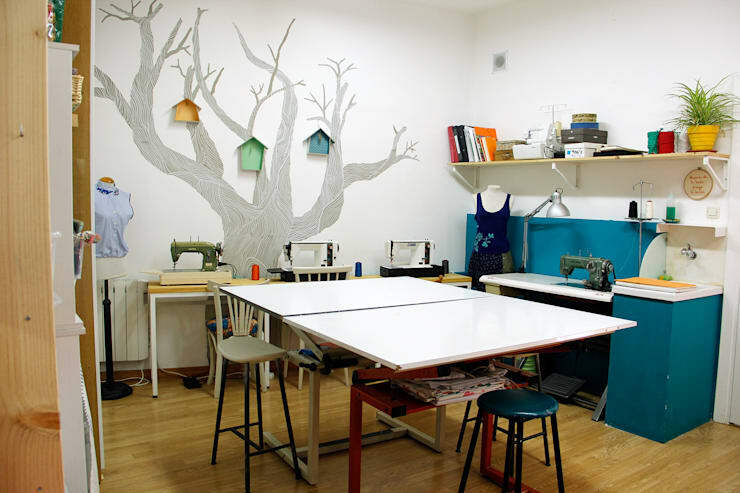 Whatever dimension your hobbies take, a craft studio is the ideal space where you can devote time to them. The good thing is that it doesn’t need to be large (unless you want to try baton twirling). You just need a batch of great artificial lighting – even better if the room allows for lots of natural light during the day. Whether you want to do some sewing or singing in your new studio, arrange some comfortable seating. If you plan on painting, move your desk/easel close to a window or lighting source. And remember to include a space to store supplies (and a sink for cleanup, if necessary/possible). homify hint: Hobbies build self-esteem. Whether you dislike your job or are unhappy in your day-to-day life, developing a hobby can be a way to build yourself back up. Regardless of whether you knit or play the piano in your spare time, those small improvements you make week to week are sure to give you something to feel good about. 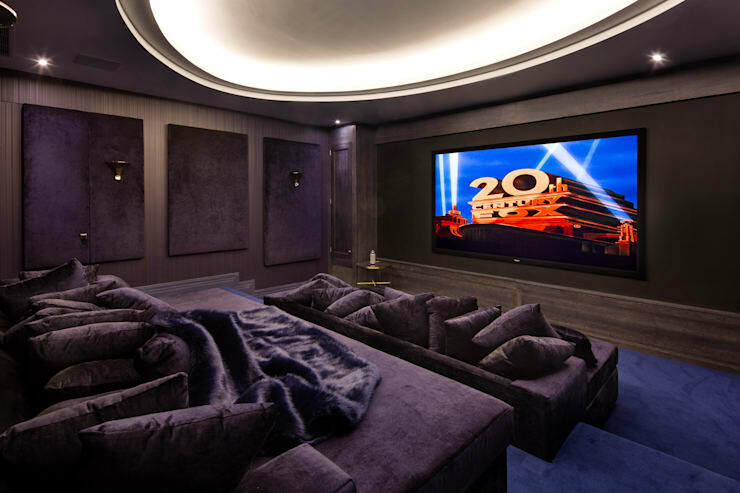 Do movie night in style! That empty room can become the ultimate cinema room/movie zone/home theatre where you can leave the world behind and revel in your favourite blockbusters. A room set aside purely for entertainment is also a great idea for when you want to keep the TV noise from interrupting the flow of conversation in the living room (or vice versa). And no longer will those kitchen noises (microwave beeping, pots and pans clanking, etc.) cause distraction when you’re trying to listen to those Hollywood high-speed chases. But since the cinema room will be used for seating/lounging, prime seating options are vital. So, opt for ultra quality seating, like fluffy couches or beanbags. homify hint: Set the scene. Add a gallery wall of your favourite stars to lend impact to your cinema room. Would you call yourself a bookworm? Is your idea of a fun night to get lost in the latest bestseller? Even if you enjoy only the occasional reading, it’s still enough reason to consider having your own library at home. And with Hollywood seemingly nabbing up every book these days to turn into not-so-loyal movie adaptations, your home library can be the perfect spot to house those novels until you have the time to read them at your own pace. Remember to pay attention to the lighting, as it can dictate the overall feel of the space. If you want a more classical look, you can have muted lamps with soft glows positioned near your seating arrangements. 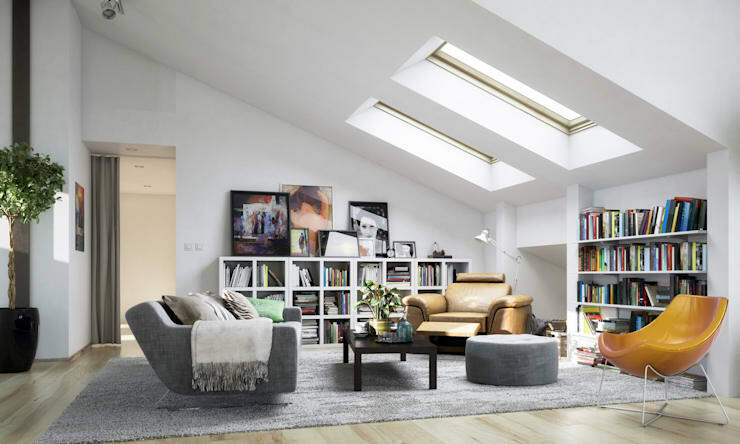 If you want a more open and spacious look, natural lighting is the key, but still invest in decent artificial lighting fixtures.